Clip from Round 1 of the VJ Contest at Mapping Festival 2012. Rules: 12 Contestants - 3 minutes of mix to your own choice of audio track. 6 go through to Round 2..
Optika VJ 4th place in the contest. "Mp3gp" is a Vj session created with mobile videos and mixed in real time. This artwork shows a good way to build narratives using home tools like mobile cameras. Mp3gp is a daily vision that has been captured from the standpoint of a mobile camera, without default actions and totally spontaneous moments that has been transformed into a vibrant and engaging narrative, clips involved inside a sonorous atmosphere of dance music , a mp3 accompanied by an 3gp to give as result an attractive piece of video art. 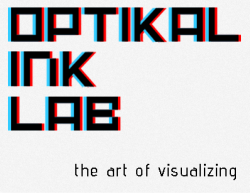 Optika: VJ set - Real time video mixing . Music by : Electroboy. VJ Torna 2010 Budapest - Hungary. Optika vs Camil - VJ CHALLENGE CHAMPION (live). There is no preparation, and you cannot rely on your long matured resources! You get random raw material from the organizers by luck of the draw, 60 minutes before the start of the challenge. This is what you will have to make the most of, to randomly selected music! VJs will demonstrate their technical skills and creativity live before the audience and the jury in a 6-minute duel.